The better the system design, the better the DevOps implementation. Deriving the best value from DevOps requires agility many legacy systems can’t deliver. To maximize efficiency, DevOps must operate on a flexible system, such as one running microservices and containers in a cloud environment. By putting containerized microservices and DevOps together, collaboration meets automation and agility meets speed. 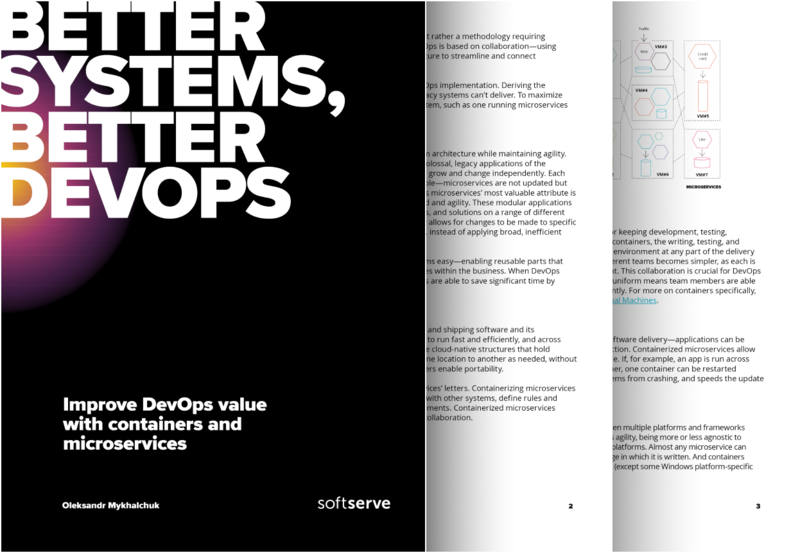 In this whitepaper, uncover how to create a better DevOps environment with containerized microservices.